Yep, like I said in the caption...Mine looked just like the pictures I posted of the OE Airbox (like what you posted), nice and smooth without wrinkles. I was very careful with my wording, as I didn't want to misrepresent Karbonius' current offerings compared to their past. They make great products (as you all are aware). 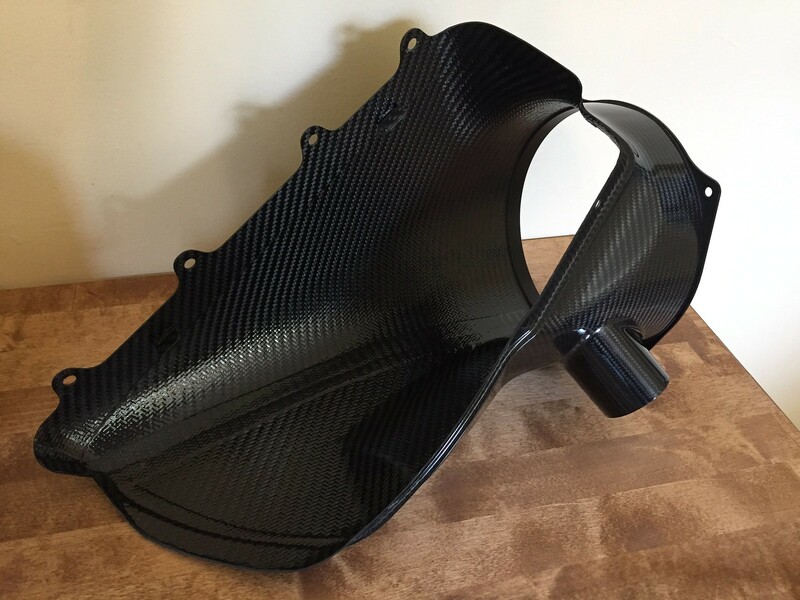 Thanks for sharing the picture, as I wasn't successful finding the pictures I took of my airbox. 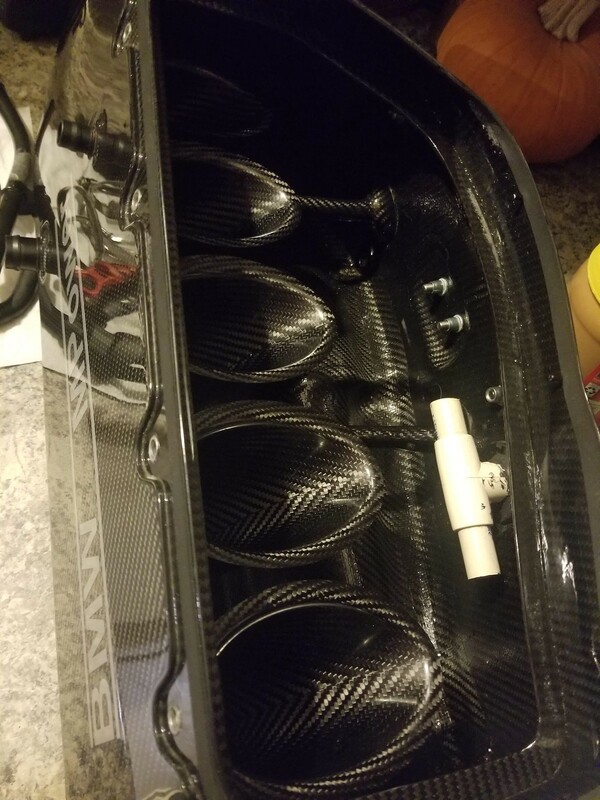 The inside of my local friend's Evolve Airbox looked like the pictures that were posted of Karbonius's earlier work. Have you got around to installing yours yet? Reason I ask, I am wondering if Karbonius still has the "whistling issue" that many experience with their airbox for some reason. I am not sure if Karbonius ever ultimately fixed this. I know the common approach to fixing it was installing a small PVC T-pipe, which eliminates the annoying whistle. 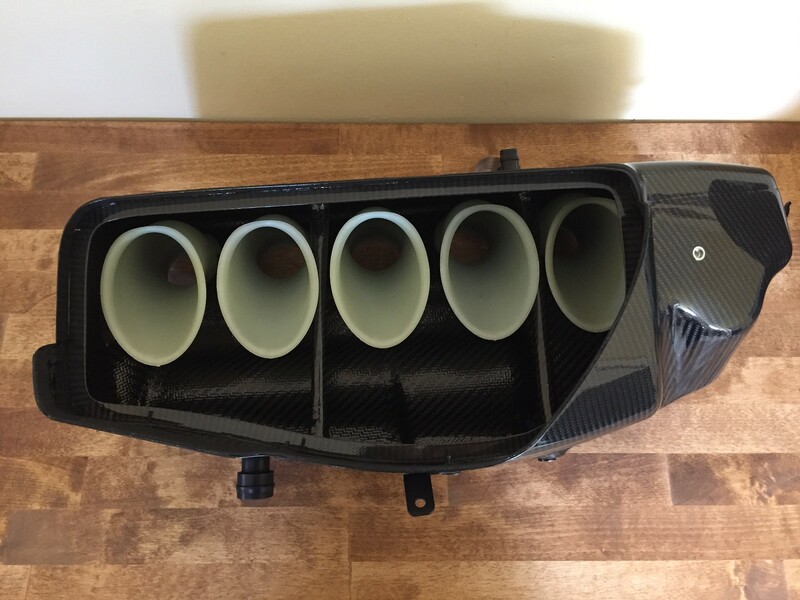 The previous owner of my airbox installed it on my Karb box, as he said the whistle got pretty obnoxious to listen to amidst the induction sounds. Honestly, not a huge fan that that was ever necessary to begin with....Even though it's hidden behind the filter, it "ain't" pretty. DISCLAIMER: The airbox in the video is an Evolve airbox. I am only referencing this video to illustrate the sound I am referring to when I use the term "Whistle". It is purely for demonstrative purposes, for those that have no idea what I am talking about. I apologize if that was not clear. Last edited by Dr M3an M3; Fri, Jul-20-2018 at 07:44:46 PM. The t-shaped thing is not necessary and would be the last thing to do to get rid of the whistle noise. All one needs to do is take the edge off (round off) the port inside the airbox. That way the air can transition smoothly into the port. That is how the original airbox has it. Good to know. Previous owner of this airbox added the T-shaped PVC. Looking back on past Karb GBs on here and on M3cutters, it appears the T-shaped thing was a common solution. Wonder if I can remove the one on mine without damaging it. It works...but frankly, it's ghetto. An airbox of this caliber and price shouldn't ever need something like this added in the first place. Yea, no doubt. Not my car (if that wasn't clear). Random youtube video to point out the whistle I was referring to. I imagine a lot of people wouldn't have known what I was referring to. That car does sound mean though...keep in mind, the mic is literally next to the airbox under the hood and thus a lot louder than what you hear in the cabin. Pretty nuts though. Any updates or hints when the group buy will open up? Definitely want to be in on the first batch. Drivetrain: DKM Stage 2 Clutch, RTD V2 mini shifter, RE trans mounts, Motorsport 4.10 R&P, Revshift 80A diff bushings. Suspension/Brakes: Bilstein PSS9's, RE RSM's, UUC sway bars, BW camber arms, TMS monoball RTABs, ZCP rotors, BW solid caliper guide bushings, PFC 08's, Motorsport Hardware 75mm stud kit. Just the airbox - no front snorkel piece yet. Should be compatible with the OE or Karb snorkels though...at least I hope so should any company ever come up with a Z4M-compatible snorkel..
My thoughts are that it will be delayed. The pre-orders were delayed by a couple weeks and I would think the group buy would be open for at least the first few reviews once pre-orderers get product in hand. All times are GMT. The time now is 02:01:32 AM.